The warmth and wit of celebrated playwright turned auteur Marcel Pagnol (The Marseille Trilogy) shines through in this enchanting slice-of-life comedy. Returning once again to the Provençal countryside he knew intimately, Pagnol draws a vivid portrait of a close-knit village where the marital woes of a sweetly deluded baker (the inimitable Raimu, heralded by no less than Orson Welles as “the greatest actor who ever lived”) snowball into a scandal that engulfs the entire town. 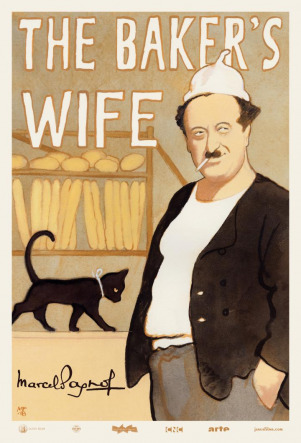 Marrying the director’s abiding concern for the experiences of ordinary people with an understated but superbly judged visual style, The Baker’s Wife is at once wonderfully droll and piercingly perceptive in its nuanced treatment of the complexities of human relationships. Tickets for "The Baker's Wife" will go on sale no later than Tuesday, Apr 23rd at 7pm. BE ADVISED: Ticketing may begin earlier. Please check back regularly for updates.